We wish to be your host and your destination of choice. 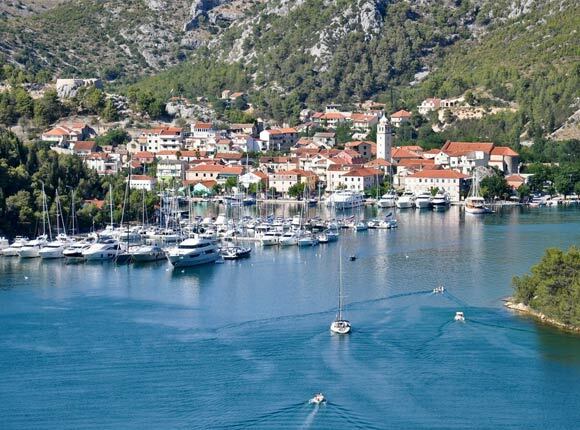 Skradin – either you arrive from land or sail into his modern marina, Skradin will greet you equally “open handed and very flexible”. This city is small in size but rich with history, culture and gastronomy. It will hold his secrets but would gladly welcome everyone to offer relaxation and unforgettable delight. Following pulse of Skradin, for 12 years exist family restaurant SKALA. Our menu represents environment where restaurant is located. 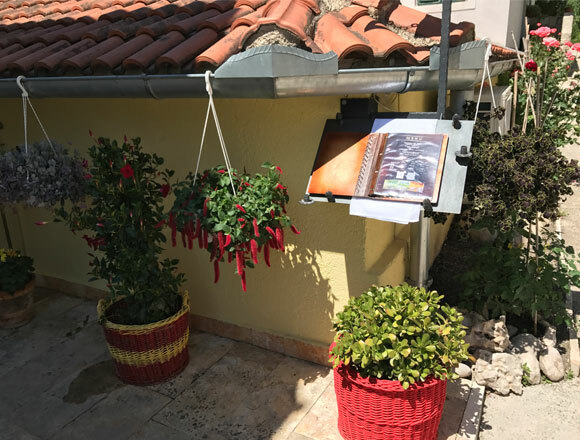 Along with traditional dishes and domestic vines you can enjoy the view from our terrace. Guest pleasure is our paramount and we are in position to satisfy your sense of sight, flavour, fragrance and sound. On our terrace, in the garden or inside enclosed part of the restaurant we will take care of your important moments such as: Confirmation rite, Holy Communion, and Weddings. Only then you will know why we are different than others. We recommend you try our steak by which we are well known for. We offer eight types of steak, and we particularly recommend SKALA steak, steak with truffles, steak with asparagus … You can also enjoy the specially prepared dishes under the baking lid (veal, lamb, octopus), and taste the famous grilled lamb. From our grill menu, we strongly recommend cevapcici SKALA with prosciutto and cheese. We also offer freshly caught fish and other sea food directly from the Adriatic Sea. We recommend you try our fish plate SCARDONA, lobster prawns, fillet of white fish … House specialties are carefully and meticulously prepared, traditional SKRADINSKI risotto and SKRADINSKA torta with almond, nuts and chocolate. Restaurant Skala has a capacity to accommodate approx. 160 people (60 restaurant, 35 terrace, 65 garden). Method of payment: we accept cash and credit cards. The restaurant staff is able to communicate in three languages – English, German and Italian.